Promoting your products or services by email can be a powerful and flexible form of direct marketing. Through email, you can communicate your messages more quickly and cost-effectively than using paper-based marketing.You can tailor your message to specific types of customer. You can also build customer relationships and acquire new customers through relevant, well targeted emails that interest recipients. 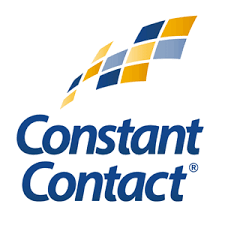 Here at VBS we use the trusted platform Constant Contact. Some of the advantages of using this platform for email marketing include building your email from scratch using their built in editor, developing your contact lists and promoting your emails on social networking websites. We use Mail Chimp an experienced email service provider that can scale with quickly growing small businesses and e-commerce retailers. Advantages of using this platform for email marketing include sending automated emails, E-commerce features, advanced analytics, A/ B testing, segmentation and triggered emails. LET US HELP YOU TO COMMUNICATE QUICKLY & COST EFFECTIVELY TO YOUR CUSTOMER.